ABS-CBN’s celebrity singing competition Your Face Sounds Familiar Kids (YFSF Kids) returns Saturday and Sunday, July 14 and July 15, 2018. Below are the performances for this week. 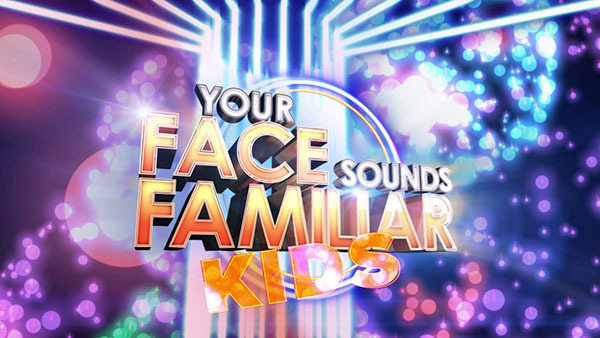 Your Face Sounds Familiar Kids airs Saturday and Sunday at 7 PM. Billy Crawfowrd serves as host while Gary Valenciano, Sharon Cuneta and Ogie Alcasid serves as jury. Keep locked this page, Your Face Sounds Familiar Kids performance videos, results and recap will be added on this page during the show. For more Your Face Sounds Familiar Kids (YFSF Kids) news and updates, follow us on Facebook and Twitter.